Planning is one of the important aspects of human life, which implies thinking beforehand, what is to be done in future. At the individual level, career planning is quite common, which implies establishing the goals and timelines, within which the individual has to achieve them. It analyses a person’s skills, abilities and interest, to lay down long-term goals of a person. At the organizational level, for the perpetual succession of an organisation, there must be potential employees, to fill the key positions and take charge of the organisation, which is possible only through proper succession planning. It analyses the critical jobs in an organisation and what kind of person is required to fulfil that position. The main difference between career planning and succession planning lies in the fact that who performs it. Check out the article to know more on the two topics. Meaning Career Planning is the process through which an individual selects the goals of his work life and finds ways to reach the goals. Succession Planning is a process who tends to spot and develop the employees, that can occupy the key positions in the organization, when they become vacant. Position One employee holds different positions, in his/her work life. One position is held by different employees, over a period of time. Ensures Success in one's career. Continuity in leadership for all key positions. 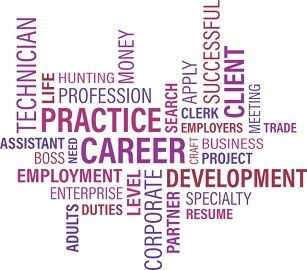 Career Planning is viewed as a systematic process, through which an individual sets a goal for his/her career and formulate strategies to achieve them. It assists an individual in exploring, selecting and chasing the life goals, to gain satisfaction with the career. Career Planning is the elementary step of career management process, in which an individual determines the type of career an individual wants to pursue and what are the ways to be chosen or steps to be taken to reach there. It helps in evaluating one’s interest and abilities, identifying alternative career opportunities, setting career goals and planning development activities. When the organisation involves in planning, it is known as organisational career planning, which is a systematic succession of jobs, carried out by the firm, for the development of its employees. Succession Planning can be defined as the continuous process of recognising and developing, potential leaders for holding the critical positions and replacing the old ones, in an organisation, so as to ensure smooth functioning of the organisation. It is a strategy, that suggest the steps taken to achieve the mission and objectives of the organisation. It aims at finding out potential replacements, both from inside and outside the organisation. In this process, the employees are scanned and trained to occupy the major leadership position, when the existing incumbents are no longer in the employment of the organisation, due to reasons such as resignation, superannuation, promotion, transfer, etc. Succession Planning enables the managers and executives to assess and develop a talent pool of employees, who has the ability and willingness to fill the positions, vacant in the organisation. A process through which an employee chooses the goals of his work life and look for the ways to reach the goals is known as career planning. On the contrary, succession planning is all about recognising and developing the employees who can take the critical positions in the organisation, when they become vacant. While career planning is a part of career management, succession planning is a step of succession management. Career planning is nothing but the planning process performed by an individual for his/her career. As against, the succession planning is an organisational strategy adopted to keep the business going, by replacing the key incumbents, with the best-selected employee for that position. In career planning, one person holds various positions in his work life. Conversely, in succession planning, a single position is held by different persons in an organisation. Career planning is helpful to get success in one’s career. On the other extreme, succession planning ensures consistency in leadership, for the key roles in the organisation. An effective career planning is going to benefit an individual, whereas the entire organisation is benefitted by succession planning. Both succession planning and career planning are pro-active in nature, as well as they are future-focused.